I was shooting a family event in Belleville, Kansas over the weekend…Happy Retirement Ted!… but couldn’t resist a couple of shots of the surroundings. 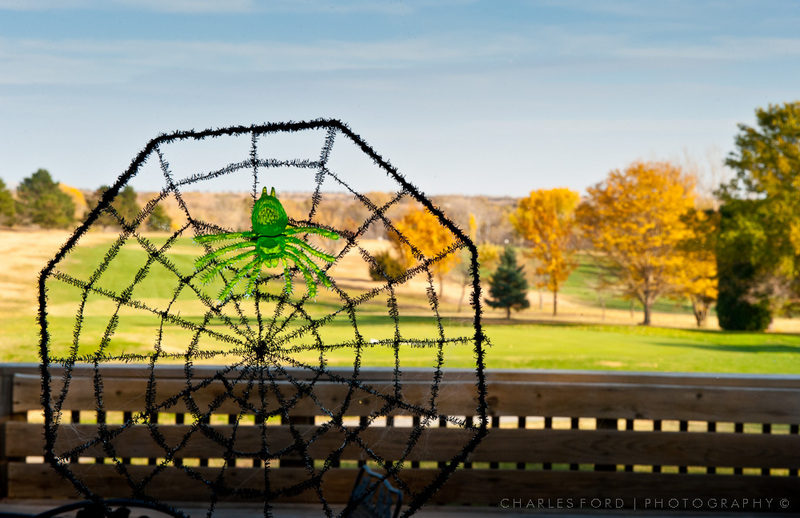 This is the rarely seen Green Window Spider, indigenous to only a few counties in northern Kansas. It’s distinctive black web continues to confound scientists everywhere. The last of my old town posts for now. 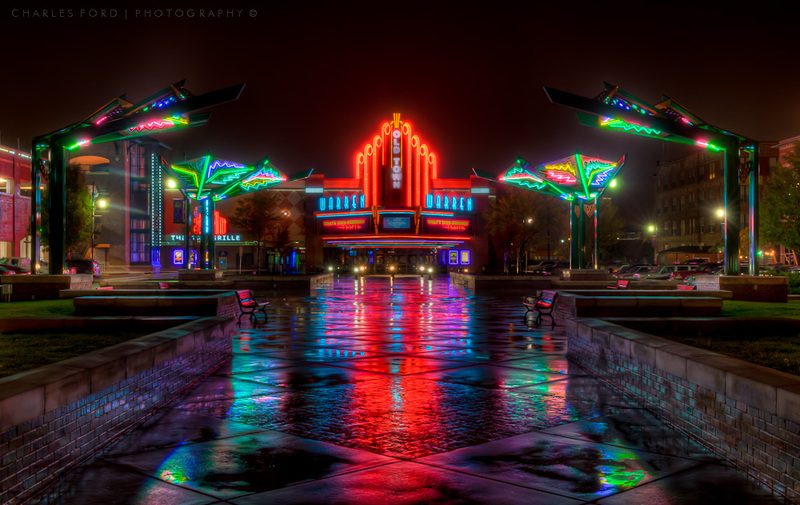 This was another case of long exposures and HDR processing reveal color that was not fully anticipated. Next time I will try to simplify my compositions, and try to keep a better eye out for how objects may pick up colors from nearby colored light sources. 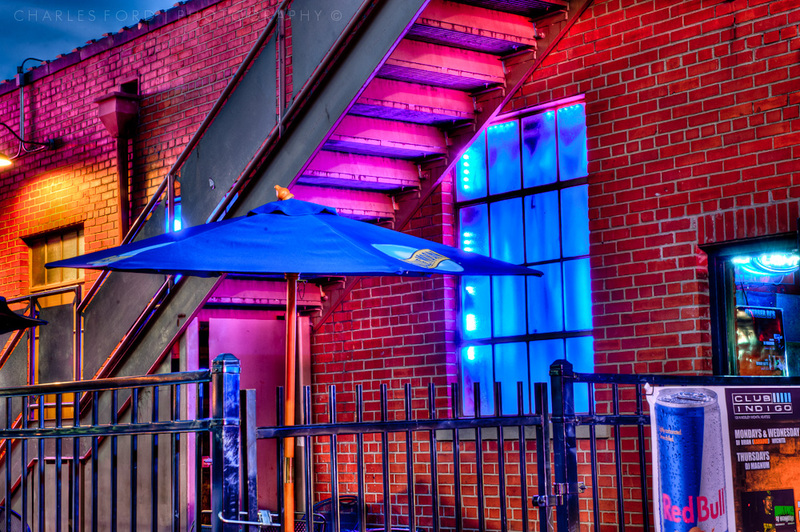 My wife and I had both noticed this awning, its edge trimmed with a ribbon of light blue lights. I also noticed what I thought was a visually interesting network of support braces underneath. 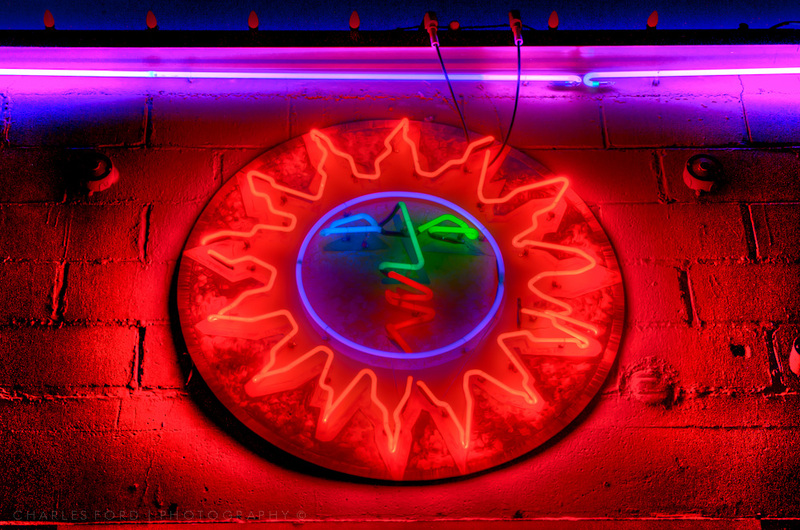 However, I most certainly did NOT see or anticipate how the underside would pick up all the different colored lights from inside the establishment, which was revealed during HDR processing. Sometimes you do get lucky, and learn a little something for future use. 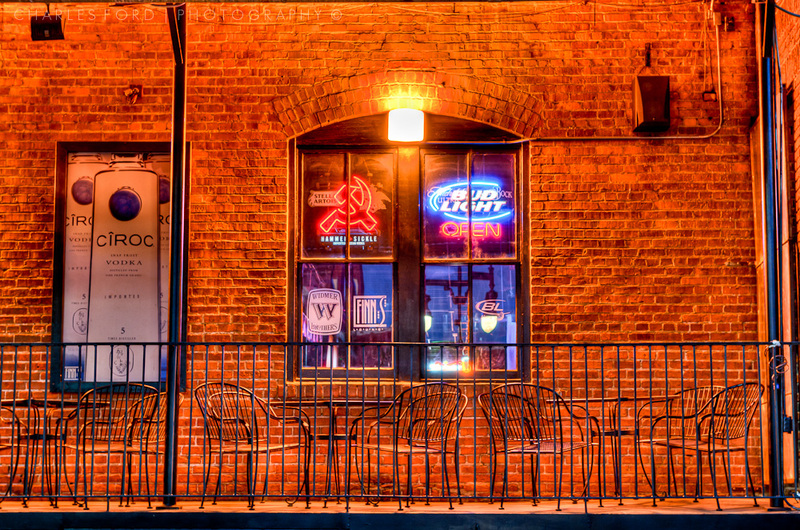 Another scene from Old Town Wichita, minus the rain. Not sure whether this one is “blog worthy” as Ken Bello would say, but I found it interesting enough to slip in. This was not Photoshopped with any filters or FX, just a little work in Lightroom. I’ll explain more if anyone is interested, otherwise we’ll just call it an abstract experiment. 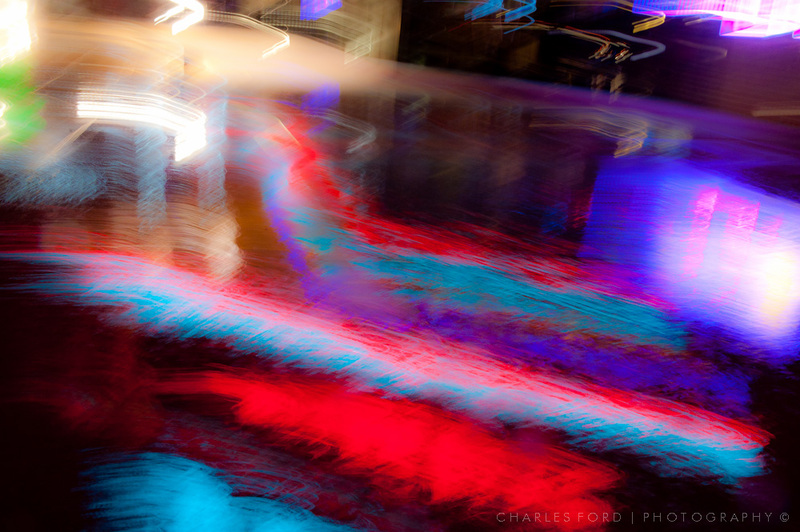 Abstract-ish image from my recent, rain soaked evening photo session in Old Town Wichita. 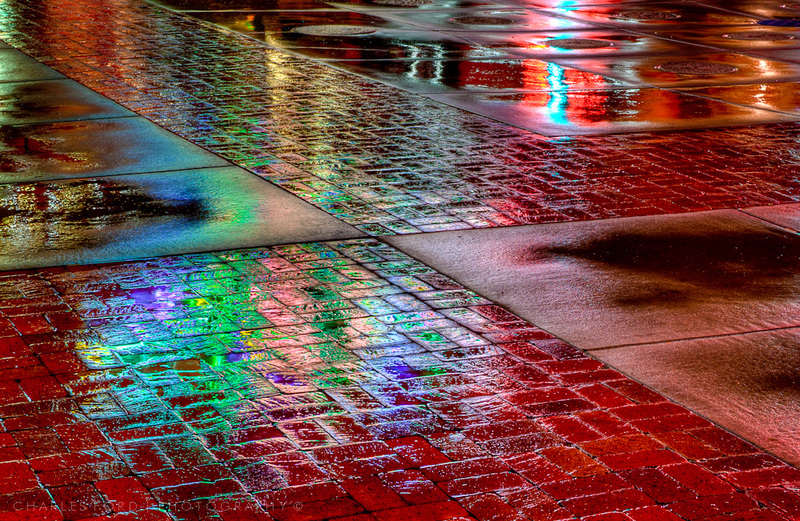 Not much beats neon lights reflecting on rainy pavement. 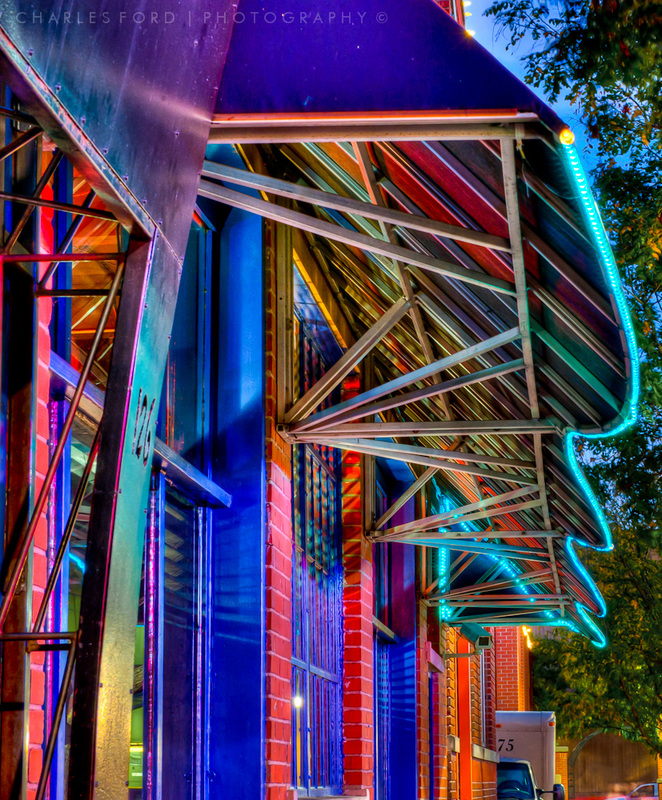 This is HDR, taken in “Old Town” Wichita, where the Warren Theater anchors a series of shops and restaurants around the perimeter of the square. Rain was still falling during this adventure. My Nikon D700 has good weather sealing, but it was getting wet enough that my little voice saying “you could be ruining your camera!” finally got the better of me and I gave up. 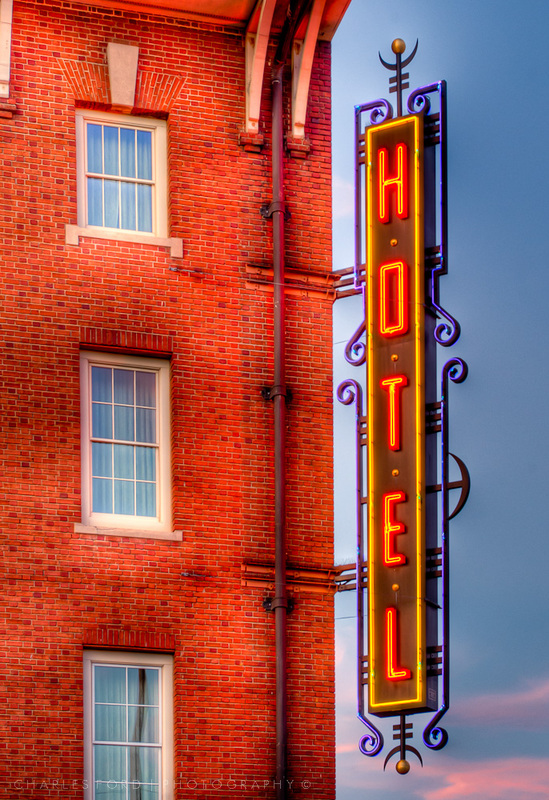 This HDR was generated and tonemapped in Photomatix Pro, then finished off with a little cropping, spotting, level tweaks, and noise reduction in Lightroom. 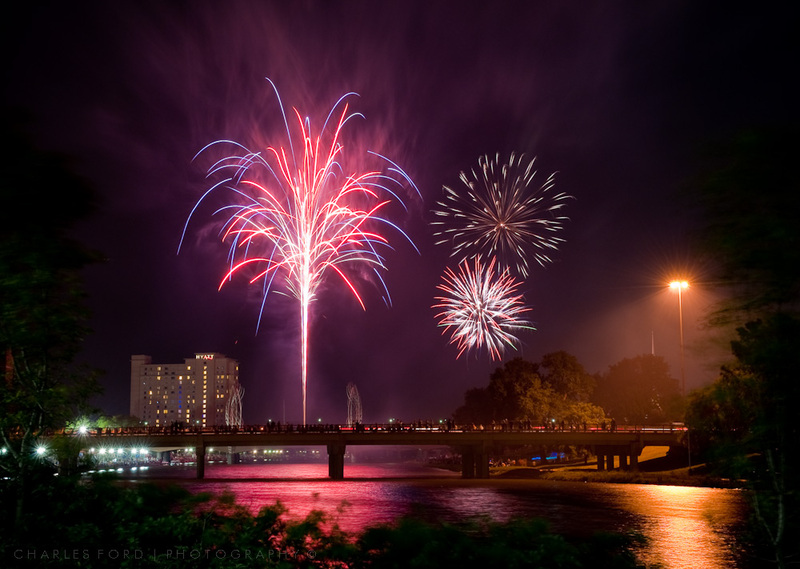 This is my second place image in the fireworks category at the Wichita Riverfest Photo Contest. Photographing the fireworks this year was made more difficult because they changed the launch site from previous years, and specifics were not publicized. They even added a couple of different launch sites to the mix, there were actually fireworks going off about 40 yards to my right here, but they were way too close to shoot. As you can probably imagine, it is very helpful to know exactly where they are being launched from ahead of time so you can work out a suitable camera location in order to include a pleasing foreground. I got pretty lucky considering, and found a spot on a steep hill, halfway into a flower bed on the riverbank from which to shoot this image. We do what we must.